Private contractors used in Afghanistan. Available on Wikipedia. Economists define defence and security outsourcing as the delegation to a private contractor of a service, a function or an activity that was previously realised within the government (J. M. Oudot, French Defence Ministry, 2013). With the recent sentencing of four Blackwater US security guards for the killing of 14 Iraqi civilians in Nisour Sq, Baghdad, light has been shed on the public’s deep concern with the ethics of security outsourcing and the respect for human rights and domestic laws on foreign territory. As unfortunate (and highly questionable) as that particular event was, it is important to explore neutrally both the pros’ and the cons’ in the outsourcing of security services. Security provision in itself (i.e. 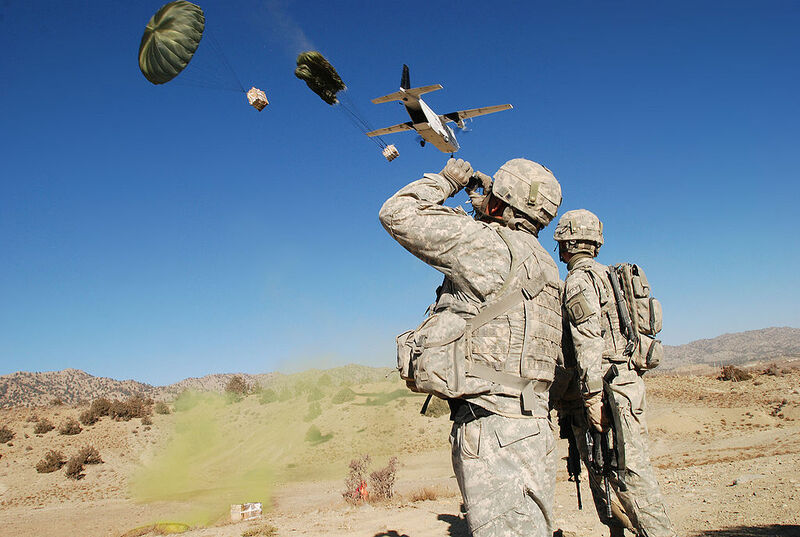 combat services) is a function so integral to the very nature of government that it should not be performed by the private sector (Stanger, 2009). Security production on the other side (production of technical equipment as well as support services such as catering, cleaning, training, intelligence provision, etc), may well be outsourced in line with economic considerations. The trick? – Where do you draw the line and how do you maintain the balance between the two? The need to use Private Military and Security Companies (PMSCs) has risen in the past two decades due to variety of factors: the Cold War and the end of the conscription era in many states meant a limited number of military people who had to be devoted more to their core military activities. Budget constraints added further pressures on the military to guarantee security but with fewer people and less financial resources. The resulting operational gap had to be filled with services coming from outside government and PMSCs were there to do exactly that. Elevated expectations of quality and affordability of technical equipment and services and the growing pressure on the Ministries of Defence to produce more and better led to further focus on savings and affordability. 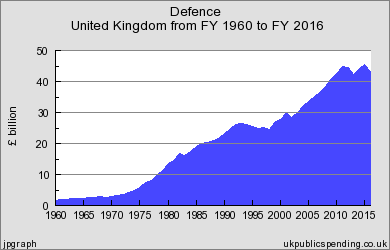 While the UK government is spending more money on defence ever since the Cod War ended, the percentage of this budget as part of national GDP has been reduced almost double between 1990 and 2015. Graph from ukpublicspending.co.uk. 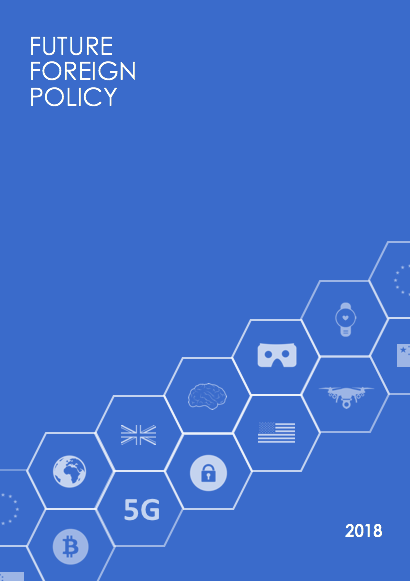 Meanwhile, the government’s monopoly does not always provide incentives for innovation and improvement of quality and does not always have comparative advantage over the private sector – market forces dictate that certain goods and services are simply better and more cheaply produced in open competition than in-house. Facilitating access of small and medium businesses to public markets was yet another consideration in the decision to resort to outsourcing activities, just as environmental constraints and civil society expectations of quick and efficient service (Oudot, 2013). The objective to develop a strong domestic defence industrial base was however very much coupled with political considerations throughout the 1990s and 2000s: avoiding military casualties and thus public opinion disapproval was possibly key in Bush’s decision to employ so many private contractors in Iraq and Afghanistan. Hiring private companies also meant – at least in theory – fewer costs (i.e. saving from veteran pensions and disability benefits, as well as years and billions in training of new Army recruits). Contractors had already trained forces, highly-skilled and professional, they were easily deployable and flexible, hence their skyrocketing missions abroad. Locals in the recipient countries were also hired due to their vital knowledge of the terrain, the customs and language – as many as 95% of PSC hires in Afghanistan in 2011 were Afghanis (Schwartz, 2011). Finally, with these new threats emerging since the end of the Cold War and the asymmetric and unconventional warfare being on the rise, this exact level of flexibility, adaptability and quick deployment and reaction are required. While hiring PMSC may bring some of the advantages listed above, it is important to consider why private hires may not be that good after all: firstly, national security is generally considered a “public good” as it is non-excludable and there is also no rivalry in the consumption of agents. As such one may argue that the government should be the sole provider and producer of defence goods and services. If it does choose to use private agents however, issues arise such as accountability of private companies and their legal responsibility (under IHL and the Geneva Conventions PMCs are not considered neither mercenaries nor Army, and so as civilians they are exempted from international prosecution and tough controls applicable to government forces; Rousseau, 2012); possible resource exploitation (cost- and time overruns on outsourced projects); their vested interest in the prolongation of conflicts to guarantee market for their goods and services; alleged human rights abuses at war zone areas; use of companies as proxies for Western governments’ foreign policy; alternatively – incompatibility between the company’s policies and behaviour and the values of the sending government and thus erosion of the initial mission objectives; risks of corruption and undue political influence to win contracts; as well as moral objections by the public – generally those who kill for money are seen as immoral and societies tend to distance themselves from brutality (UK FCO, 2002). Economic savings may also be questionable as governments may not really save from pensions (PMSC hires are usually ex-military so the government still pays them pensions), nor from training (they were already trained as part of the military forces) (Stanger, 2009). Regulation and oversight, as well as accountability and transparency however, appear to top the list of negative considerations amongst the broad literature available to researchers. Indeed, there is no international regulation on PMCs, other than a Swiss-led initiative, the International Code of Conduct, of 2010. Since then, some 700 PMCs internationally have committed to respect human rights, act ethically, etc. and a few governments have also signed the preceding inter-governmental agreement on PMCs (although not affirmed as a UN convention yet), in 2008 in Montreux, Switzerland. They guarantee no PMCs shall be allowed to participate in combat operations. However, having signed an agreement without international weight and actual legal obligations does not necessarily provide the necessary faith in the governments’ and PMSCs commitments. Further alternatives of regulation on domestic level include a licensing system for each of the services PMSCs provide to be disclosed to the government, reinforced by a strict code of conduct on national level, and by a strengthened association of PMSCs. These measures must then be coordinated on regional level (e.g. EU) in order for actual effect to take place. We may expect further civil discontent should other major cases occur where PMSCs are proven to employ illegal practices or engage in battle and kill civilians as it was in Baghdad in 2007. On domestic level however, as long as quality, efficiency and costs remain primary considerations, contracting out to private players remains a valuable option. Thus, in line with the transaction economics thesis of Williamson (1999), outsourcing should continue to be used when maximising efficiency and innovation. Use of private actors for combat however, should be banned, and whenever private partners are used for non-combat assignments, they must be regulated thoroughly, with a high degree of oversight and transparency while still maintaining reasonable trust with the government. The balance must be kept though, or otherwise the operational needs for private contractors, the arguable economic savings and the short-term political gains they bring may not necessarily outweigh the sovereignty and human rights concerns and domestic political legitimacy implications for the long-term. Great Article it was nice to find an article taking a rational and balanced look at PMCs. In the final paragraph you suggest that the use of private contractors for “combat” should be banned, I was just wondering how you were defining ‘combat’? Does combat include the use of PMC contractors as security/bodyguards in warzones? Thank you, Stefan! I guess strictly combat action would be frontline fighting, which the UK has promised to never use PMCs for and that should remain the case. Security/ bodyguarding does not constitute strictly combat function I believe, so it could employ private hires if that is cheaper/ easier. But we must remember even if they are security, they may still be required to engage into fighting in case the base is attacked – and so the line between combat and non-combat gets rather thin and shady. And that, I believe, is the biggest challenge when it comes to PMCs – deciding where and whether to employ them at all.